The age of the Internet has brought with it a revolutionary way for people to educate themselves, and/or be educated. Almost every educational institution, from community colleges to Ivy League universities, now offer courses, or entire certification or degree programs, through an online platform. As part of an online English or Writing degree program, there are myriads of online creative writing courses to choose from, just as there are in a typical, non-internet based program. Certification and degree programs that are solely based online provide some benefits which the brick-and-mortar institutions simply cannot. The details of which, I will discuss further below. One of the many websites out there, with accredited affiliates, is www.coursera.com, which will be the basis for this article. At Coursera, you can sign up to be a member for free and immediately you’ll be taken through the initial steps of finding and applying for one or more online creative writing courses. Based on your schedule and finances, the intuitive website will direct you to areas where you can browse courses, certifications, degree programs, the student community, and faculty. Coursera is partnered with many top universities, companies, and organizations from around the globe including: Rutgers the State University of New Jersey, Imperial College London and the University of Science and Technology of China. Offering over three thousand courses and spanning 28 countries, Coursera is able to provide any level of an education you wish to attain. An education, mind you, that is comparable to physically attending Johns Hopkins, for example. Many have argued that accredited online programs are better because they eliminate things like commuting time, moving, and the typical classroom setting. What’s different about the online coursework on Coursera is that each course is set up like an interactive textbook and can have features like accompanying videos, quizzes, and various projects. If you have previously been enrolled in a creative writing degree program, then, perhaps, applying for one or two courses to start is prudent, as it will not only get you back into the swing of schooling, but also present an avenue for you to transfer into a Coursera degree program, mid-way through. However, it’s just as easy to find an appropriate certificate or degree program when you’re starting from scratch. Certificate programs vary in the number of courses to reach completion, as some specialization programs can be added on while others can be seamlessly transitioned into a full degree program. Wesleyan University offers a five courses module, creative writing specialization program and the site has many other courses pertaining to everything from poetry, plot crafting, script writing and creative writing for focused audiences. Not to mention, many of the university partners offer the same associate’s, bachelor’s and master’s degree programs, containing Creative writing 101 through post-graduate theses, one could receive through non-internet based means. In some instances, single, introductory courses are free but the majority of what’s offered comes at a cost. You can purchase single online creative writing courses, picked from different certificate or degree programs, then plug them into your completed coursework when you buy a complete program at a later date. Either way, Coursera’s costs are comparable to most online learning institutions and offer assistance in applying for grants and/or financial aid. One of the many reasons why someone would be thinking of starting a new career is because they hardly make enough money to survive, let alone get a better education. Divvying up time also, especially free time, can be extremely difficult when most of your day is spent at your current job and, the rest, with family obligations. But, having staff and faculty knowledgeable and caring enough to help you jump through the admission and payment hoops, sets a welcome and hopeful tone for you to take with you on your journey through an online creative writing course, certification or degree program. I can’t speak for all of the online course programs out there; I know it can be daunting. The internet has expanded lives, in certain ways, allowing for educational information to come from many sources which were previously non-existent. With that expansion, there came a flow of “bad” or “poor” sources of learning mixing with the good, which basically grew overnight and had no accredited backings, but boasted similar benefits compared to accredited, online universities. Coursera and its accredited partners share an exemplary track record of providing the highest quality education, both on and offline. Now you’ve got help with admission and payment, and also researched the quality of the program versus its cost. You know your choice will be the best one, as you were able to focus on what’s really important to you; how this learning will help you create a better, future you. Besides tuition assistance, Coursera provides many levels of student support, to spark the flame of learning and fuel the fire as well. There is assistance with transitioning a degree program, tailoring on to your specifics and mentorship to compliment online creative writing courses, certifications and degree programs. Coursera is accessible on your home computer, a laptop, or any mobile device, to keep you learning wherever you may find yourself. Coursera, and other online platforms, support robust student community networks which can provide anything from just needing to bounce an idea off someone to mastering an in-depth, creative writing skill. Also, you will receive feedback, encouragement and praise from both students and faculty, when you earn it, as well as constructive tutorials, Webinars and video companions. And we know that you can and will. Due to Coursera’s widespread influence, translating software is available to communicate the best and most succinctly. Furthermore, along with earning your certification and/or degree, you will be officially able to display your accomplishments to your loved ones, colleagues and, potential employers. Being appropriately recognized is a surefire path to knowing your worth and, subsequently, nabbing that sought-after career or position, never before attainable; one which you, and now everyone, know you would excel in. Without me needing to tell you, it’s up to you to take that first step down a brand new path of your life, or an old path not tread on for some time now. Thankfully, Coursera and its partners, as well as several other reputable online institutions, will do everything in their power to get you to the learning with the strength to take it from there, all the way to the career of your dreams. 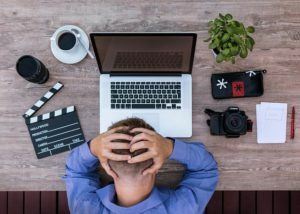 As the Internet has created a less complicated, more efficient way to learn, receive a sufficient, comparable education and take that into the real world, it has also created difficulties in sifting through the many piles of information, due to the sheer amount. That’s the first place where your diligence is needed: research. Don’t jump at the first place offering online creative writing courses, or any type of course for that matter, just because they are the cheapest or easiest to get in to. The advertisements for accredited affiliates, on websites like www.coursera.com, are there for a reason; to provide credibility and, in turn, reassurance. Credibility that the degree earned will stand up against other online, and offline, institutions, provide a reassurance that the framework, curriculum and staff attributed to that institution will aid you in obtaining it. But it doesn’t stop there, your diligence and willpower need to stay with you, throughout this entire process if you are to succeed. If you have always had a passion for creative writing, and always wanted to see what you can really do with it, then of course, higher learning at the collegiate level is an obvious path. 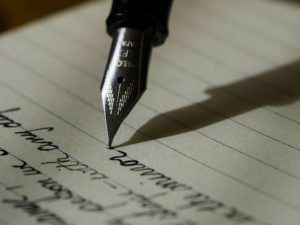 If you have had or, currently have, that same passion, but want to channel your money, time, and effort in a similar way, from the comfort of your home, using the speed of the internet and freedom that mobile devices provide, then an online creative writing program, like one of the many offered through Coursera, is the best possible choice. I hope this piece was informative enough to help you see what you can really accomplish, how to get to all points along that road safely and efficiently, and what your future could be like, with a new career driving the new you. I’m looking for a writer course. I think I try this offer because you say there are 3000 courses and there must be one for me for sure. I’m originally a German speaker but now write my websites in English. I realize my amount of different words is limited. Do you think Coursera.com could help me get better and also help me with the right training, there so many courses to choose from. Hi, Stefan. On Coursera you find many language courses that certainly can help you increase your English proficiency. I wish you luck with your websites. Alles Gute! Hey there! How are you doing? 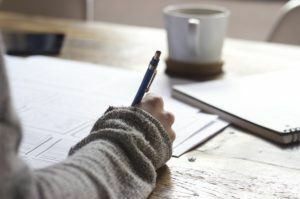 I really enjoyed reading this blog post on “Online Creative Writing Courses” and I liked it as it’s very informative. I’m eager to start this course but I have a few questions which I must ask. Upon completing the course, can I publish my own E-books on Amazon? Is it possible to get a job somewhere as a writer? Hello. Yes, you will be able to publish on Amazon your e-Book, but first, you must write it, and write it well if you want to have success. The writing courses on Coursera are beneficial in many directions. Concerning your second question, if you become a better writer, there will also be a lot of job opportunities. To keep your visitors engaged, story telling is a great way. Not everyone has this talent, to keep the readers attention in a relaxed way. Thank you for pointing out the creative writer courses of Coursera. It’s great to know that Coursera has partnered up with many top universities, companies, and organizations worldwide. Quite amazing that they offer assistance in applying for grants and/or financial aid too. Certainly something worthwhile to take a closer look in. Yes, financial aid is a great opportunity for students around the world, who thus have access to an education of which they only have dreamed before. Hi. Indeed, the trend is that the number of online degrees will increase exponentially in the future. I think that already there is no top university today that does not also offer online programs. Interesting article. I was doing some online research and found your article. Coursera sounds like a good place to ‘re-start’, start, and continue one’s education. I am sure you know how life has a ‘way of getting in the way’…and we stop learning at traditional institutions due to various reasons. I love the fact that online/internet learning is advancing so much. I mean, the certification process when ti comes to the reputation of those giving credible teaching. Is there any way one can ensure the credibility of the online training institution that we choose to attend? Is there like a Better Business Bureau for education? Just curious. Hi, Michelle. Coursera has partnered with top universities, like Stanford University, Hong Kong University of Science and Technology or Ludwig Maximilians Universität München, among many, many others. And these institutions are more than credible. Therefore you can enjoy from the comfort of your home the same benefits as if studying at those universities as a regular student. If the online world had not made so many things possible, I would say this is unbelievable.